On July 30th, 2015 an audio note began to spread on WhatsApp chats of a group of mostly mothers from the city of Cancun. 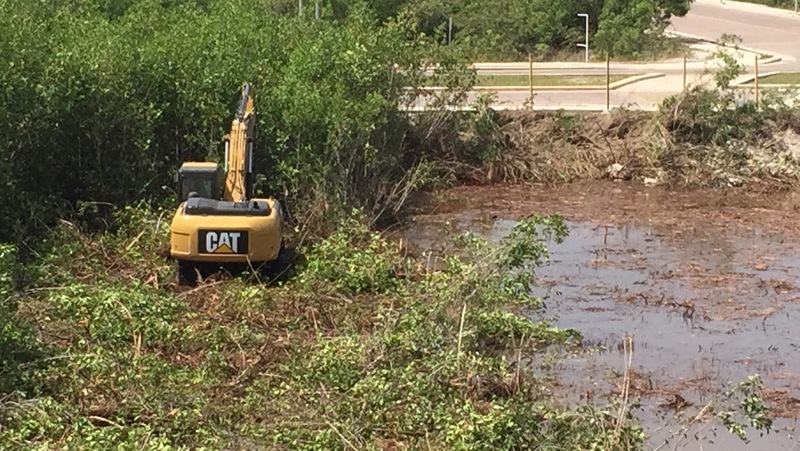 This audio called for help describing devastation of trees and mangroves, while birds tried to save their nests and crocodiles waited to be buried. This brought together about forty women in an area called Malecon Tajamar , located in downtown Cancun, next to the Nichupté Lagoon. Thanks to the social networks, the facebook page Salvemos Manglar Tajamar (SMT), started to gain followers in a couple of hours. 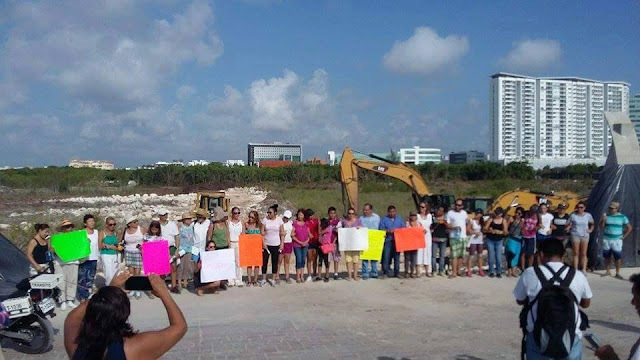 Quickly, more locals from Cancun joined the initiative. By August 4th, 2015, a popular claim signed by 4,333 individuals, with names and addresses was presented before the federal authority PROFEPA (Federal Environmental Protection Agency). The result: by August 12th, 2015 PROFEPA instituted an official and provisional stoppage of the works that were taking place in this project. The closure was, among other things, accredited to the lack of compliance of environmental conditions to which 2005 permits granted to FONATUR (the Federal Government's Fund to promote Tourism, and the seller of those lots). As people were approaching the SMT volunteers to sign petitions, amongst them were many kids, and underage minors, that wanted to sign. One lawyer decided to help, and a Federal Trial for the Protection of Constitutional Rights (" amparo lawsuit" ) before a District Court was filed on 08/27/2015 and signed by 113 children under legal age, demanding t o be allowed to pursue their right to be heard, and demanding their right to a healthy environment to be respected, specifically demanding for the cutting and clearing of the mangrove in the development of the project known as Malecón Tajamar to stop. Among the authorities sued are the Mexican Environmental Ministry and of Natural Resources (SEMARNAT) and the Federal Fund for the Promotion of Tourism (FONATUR). 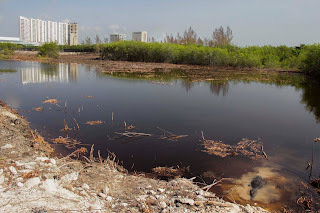 On November 4th, 2015 the judge ruled granting a DEFINITIVE SUSPENSION of the use of the authorizations and permits that allowed the removal of the mangrove in the lots located in Malecón Tajamar. Unfortunately, the Judge conditioned this historical achievement to a delivery of a BOND of about twenty one million pesos, a bond to guarantee the companies who bought land in Malecon Tajamar. Objections to this requirement were filed on time and should be resolved by a higher court within the following weeks. This case was not important only for Cancun, its ecosystem, its children and its future, but it is making the country of Mexico more aware of the need to address environmental problems and to demand their voices to be heard, in a respectful, organized and transparent way. Unfortunately, the night of January 15th, 2016, the social networks were not enough: the Government (Municipal, State and Federal) joined and protected the more than 70 trucks filled with material, mechanical diggers and other material that entered the area. Seventy elements of the riot police were sent to stop any person from entering the area. The work began after midnight, when most people were sleeping. 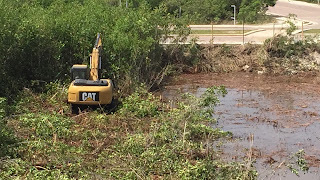 In a couple of hours, less than a day, as they worked all night and kept working the next day, the area was completely cleared, destroying all the mangrove and what lived in it... we called for international media to speak about what was happening in Cancun. The rights of our children had been violated by the Government. In spite of the above, the SMT team has been talking about the importance of mangroves in different schools in Cancun and plans to keep doing it. So far we have visited more than 10 schools in Cancun and Holbox. the works are suspended for now until a final resolution is given. 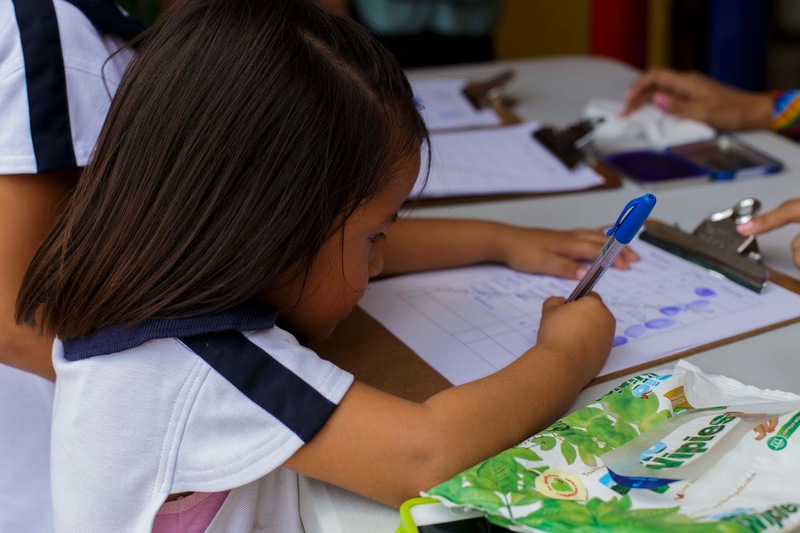 Along with the information we believe children should know about their rights and the precious ecosystem they live in. We believe that Tajamar, and so many other areas with mangroves in our State of Quintana Roo and in our country should and can be protected.